This versatile 60" Bengaline Faille consists of 51% Acetate & 49% Cotton. Available in plain faille style or available in a Moire finish upon request. Offers a soft touch with a ribbed texture. 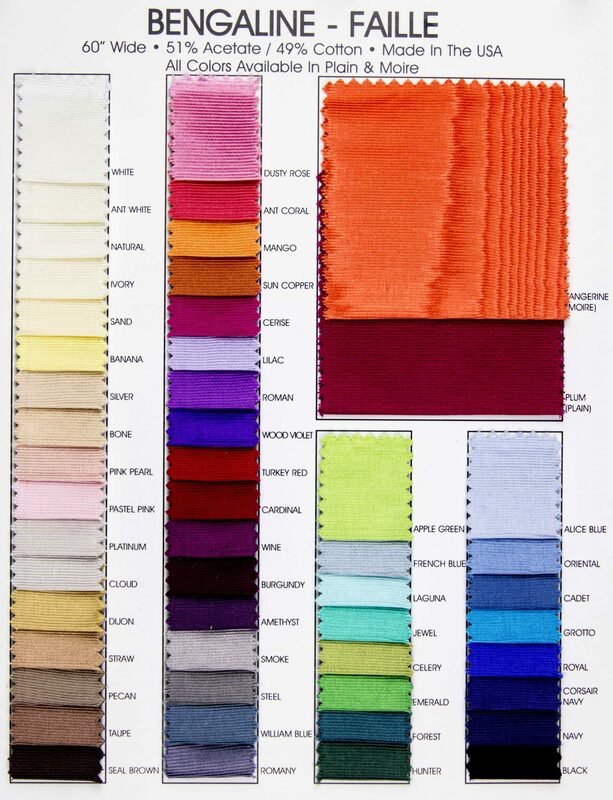 Suitable for blouses, lining apparel, bridal/formal wear, evening wear, upholstery and much more! Available in 50 colors. Machine Washable.